Doris gets a job in San Francisco at Today's World magazine. Click on the title to watch the full episode. * Please note that we provide links to each episode for all five seasons on tv.com where available. They are also available on hulu.com. But we feel the video resolution is much better on tv.com. Depending upon your viewing device check both places, tv.com and hulu.com. "You're as Old as You Feel"
"The Prizefighter and the Lady"
"Today's World Catches the Measles"
Doris gets a job as a secretary at Today's World magazine in San Francisco. Doris unknowingly takes Toby's frog to work as an important banker is touring the office prior to granting the magazine a loan. Doris poses as the Boss' wife in order to deter a female from making the moves on him. Doris changes a writer's hateful opinion of women but in the process he falls for her. Doris and her boss attend a dinner party given by an important businessman. The man's wife just happened to battle Doris over the sale of scout candy. Doris is given the difficult assignment of obtaining the rights to a new book by health nut Bruce Saunders. Doris and Myrna are oversee French models prior to a Paris fashion designer's new collection. 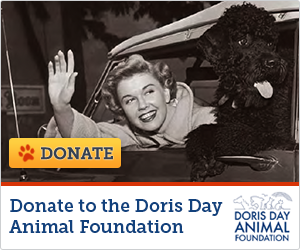 A handsome movie star invites Doris to the premiere of his new motion picture. Myrna invites Doris to her new apartment in a swinging singles building. Doris has worked overtime all week and wants to spend the weekend with the boys. However, the boys have made other plans. Doris invites Ron and Myrna to spend Christmas on the ranch with her and the boys. Buck doesn't want to go to the dentist but when his toothache gets worse, Doris drags him there. Boxer Duke Farentino is in training for a title fight and women are not allowed in his camp that is until Doris shows up a press pass. Doris argues that the electric company's computers are wrong and that she did pay her bill. She stages a protest in retaliation. Doris rescues six poodles from a locked car in hot conditions. Instead of gratitude she gets charged with stealing the pooches. Toby gets the measles while Doris's boss and his assistant are visiting the ranch for a weekend. They can't leave because the place is quarantined. Doris and Myrna volunteer to run Leroy's Gas Station so he can visit his wife who's having a baby in the hospital. Doris picks up a magazine with an article exposing a gangster and finds herself kidnapped along with the writer of the article. Buck is chosen by a female artist to be her model. Doris hires a ranch hand not knowing he's a millionaire. Doris and her boss go on a business trip to Florida until Doris' intuition lead them astray. Doris entertains a visiting Latin prince by inviting him to her family's ranch. Retired ex-boxer Duke Farentino has become a dance instructor and turns to Doris for help when problems ensue. An efficiency expert is assigned to Today's World Magazine upsetting the entire staff. The Publisher of Today's World arrives unexpectedly and assumes control of the office. He has his eye on Doris.